Since it has been so hot, I haven’t wanted to spend a ton of time around heating elements in the kitchen. This has led me to produce items like a no-bake key lime pie (recipe next week! ), mojitos, caipirinhas, and my personal favorite: going-out-for-sushi. It was time to get back in the swing of things, though, and thus alongside my harissa-smeared ravioli with olives & feta (a similar recipe can be found here), I whipped up this little number. 1. 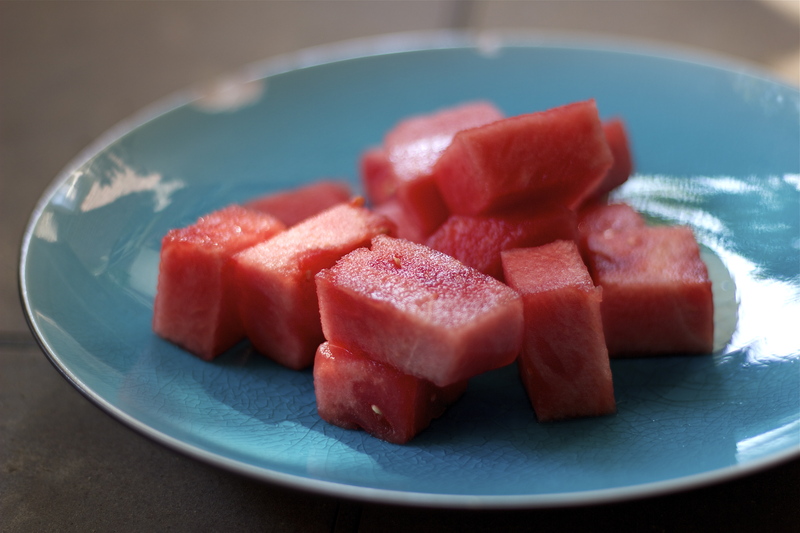 It saves a lot of time and effort if you get seedless watermelon, and even more if you get it already sliced, despite the fact that whole, seeded watermelon usually tastes better than unseeded varieties. 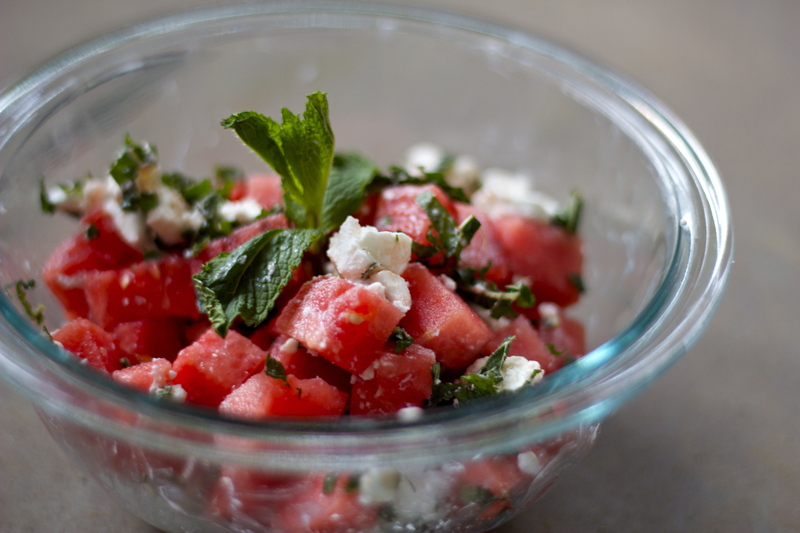 For this recipe, it’s not going to make a huge difference, but if you’re a purist (I get it), you will have to de-seed your melon yourself. To do so, follow the instructions here (just ignore the ads). This guy really, really loves watermelon! 2. Greek or French Feta? It’s a good question, and one that doesn’t really have a right answer. 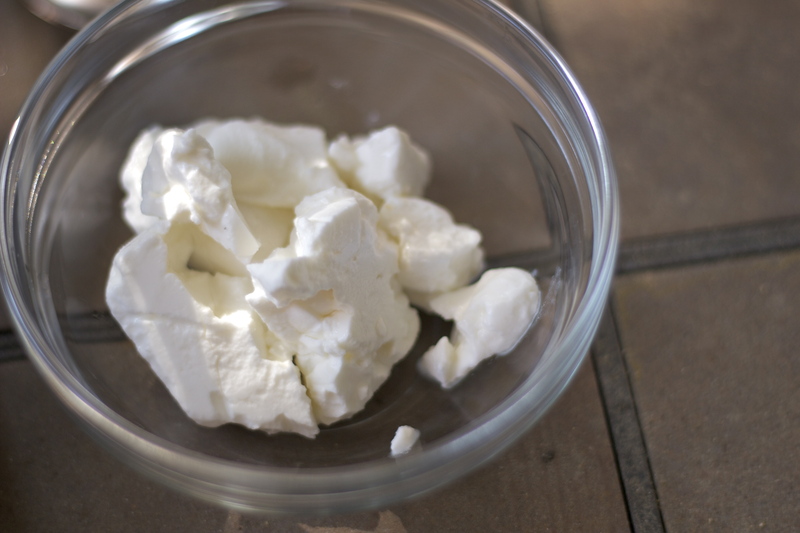 French feta is deliciously mild and creamy, almost sweet, and much less pungent and dense than its cousin, the Greek variety. Having tried them both, I think I personally prefer French in this case, but the Greek gives the salad an addictive salty-sweet character and is definitely worth trying. You can never try too much cheese, that’s what I always say. 1. Mix everything together with two spoons (gently!) or use your hands. 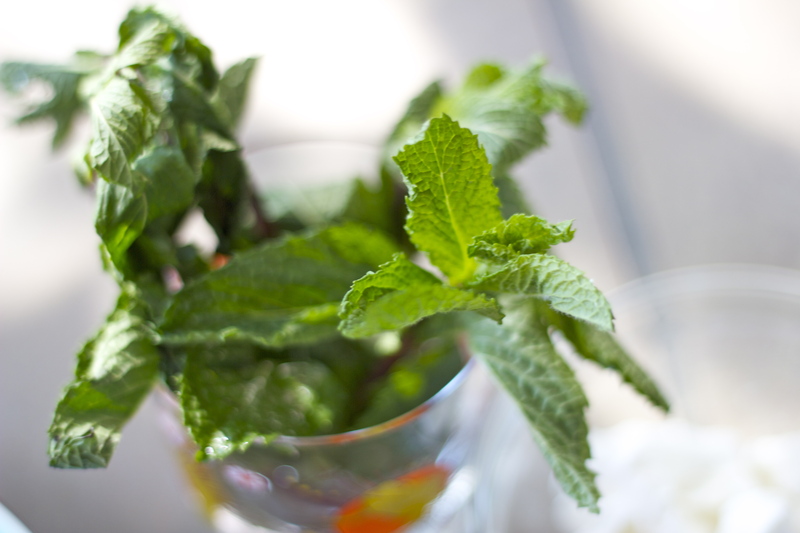 When all is evenly distributed, garnish with a mint leaf or two, and serve. This is perfect for summer and I can’t wait to try it! Yummy! It’s pouring here…I might just make this to remind me what summer is like.